The PC system requirements for Dishonored are actually pretty reasonable. Dishonored looks hot. Luckily for those of the mouse-and-keyboard set, that hotness will apparently be attainable without having to fork over $700 for the latest and greatest GPU from Nvidia or ATI. Bethesda revealed the minimum PC system requirements today and while the game is optimized for 64-bit systems and multi-core CPUs, the baseline requirements aren't what I'd call outrageous. Behold! 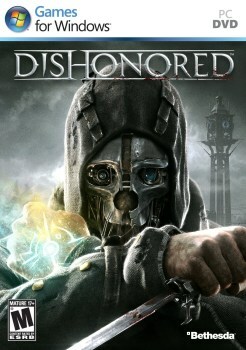 In case you weren't aware, Bethesda has previously revealed that the PC version of Dishonored will offer a number of exclusive features including a shortcut bar mapped to the top-row number keys which will give direct access to powers and items, a field-of-view slider and various options and "graphical toggles" that will let gamers take full advantage of their rigs. Yeah, it's good to be elite.